A woman frantically combs her cat’s hair within her cat-decorated, cat cubicle. The cat show is about to start, and these last-minute details can mean the difference between a mediocre cat and a magnificent, award-winning cat. The docile feline stands perfectly still. When the hair is teased just right — and I mean, just right — the woman tickles the cat's nose with a feather. She then flops the cat onto her forearm like a living, breathing, fuzzy cat rifle and hastily carries the ball of hair to its show cage. “Cat coming through!” she yells to onlookers as she races to the judging arena. The cat dervishly bobs along on her arm without a clue as to what the hell is going on. The woman gently places the cat into its show cage (that was just wiped clean of cat pee by some high school kid). The hard work is over, and the woman now takes her seat in the audience— patiently waiting and watching, as the cat judge goes through each and every cat competitor, searching for the next great feline. 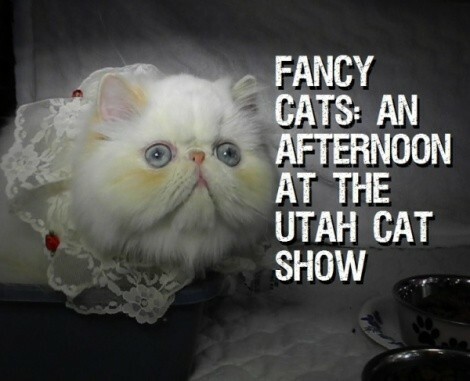 Welcome to the Utah Cat Fanciers Association Cat Show. What you just read is an example of what occurred hundreds of times Saturday Nov. 9 at the Utah State Fair Park. This annual event is the biggest cat show in the nation, with over 200 cats from all over the country. 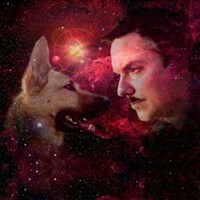 Yes, 200 cats. 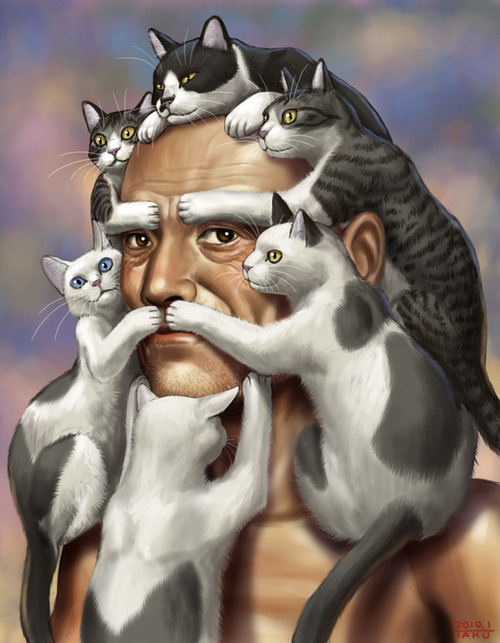 To get an idea of what 200 cats in a gymnasium feels like, round up a herd of neighborhood kitties and wrap them around your face for an hour. For most competitive catters, cat shows are a weekend hobby (albeit a very expensive and time-consuming one). 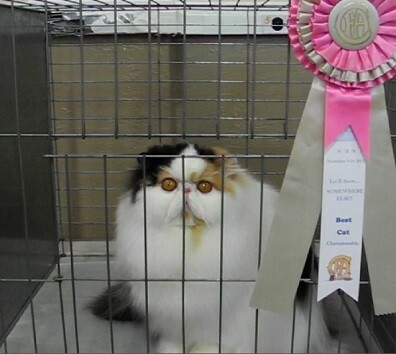 The majority of cat-show participants are either retired, or fly around to competitions on the weekends. As they say, every Saturday is Caturday. All morning, people were coming up to us and whispering, “Psst, that’s the number-one cat … in the world.” Apparently, Connie Stewart knows a good cat when she see's one. Breeders and cat owners go to Connie when they think they have a winning feline. She hand-selected Dezzy and is essentially the go-to cat whisperer in the circuit. Over the years, she has racked up 38 championships, and four of those are for cat of the year. Evidence of these victories can be seen on the diamond encrusted, blinged-out cat medallion she wears around her neck, each charm indicating a year she's took home the gold. Connie seems to know what she's doing. Her cat, Dezzy, has potential and could very well be the next big Internet sensation. To be honest, it was sort of surreal to be amongst such raw and potential cat greatness; it’s like existing in the same realm as a real-life Lil Bub or Grumpy Cat. In fact, watching Dezzy just sit there, staring blankly at the wall like a pile of laundry, you can’t help but wonder what insane feats of Internet she might someday achieve. After spending a day in a room filled with cats, you begin to understand why these competitions really exist. We need these shows for more than just judging cats. When you boil it down, cat shows are the origin of important cat photos, cat shirts, cat gifs and cat memes — you know, Internet currency. 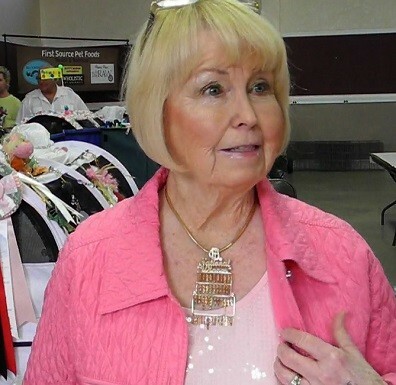 And, year after year, the good cat people of the Utah Cat Fanciers are the ones behind the scenes, doing the hard work, hand-selecting the perfect cats and keeping the Internet a well-stocked, cat-happy place. Thank you.